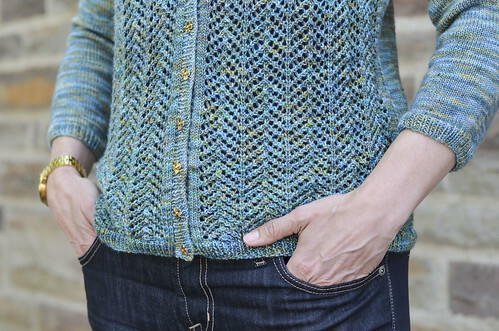 Isn’t this just a beautiful sweater and cardigan pattern? 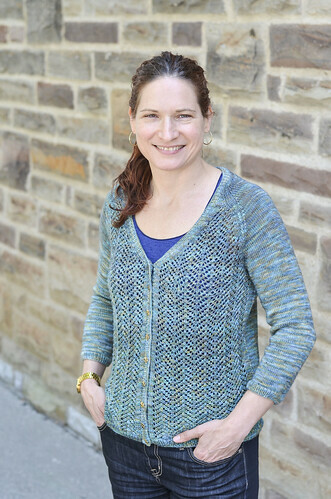 I just love it, and I love that she used my favorite yarn maker, Tanis Fiber Arts, to make both the pullover and the cardigan. Happy Friday, knitter friends! I’m pleased after a couple of months of working away at this to be able to share my new sweater pattern with you. Fortuna is currently available on Ravelry and will also be available shortly on Patternfish and Loveknitting. (I’ll update those links as they become active). Now that it’s done, I love it, will totally be wearing it in the warmer seasons (especially if I go back to spending more time in an air-conditioned office, but also they’re calling for a cooler summer again this year, so one never knows), and even though this pattern started life as a pullover I think I love the cardigan version even more. Hurray for light lacy sweaters!